Hi, I'm Ron Perrin. Welcome to my profile! In 1997 Ron Perrin established RON PERRIN WATER TECHNOLOGIES. He is currently the general manager. 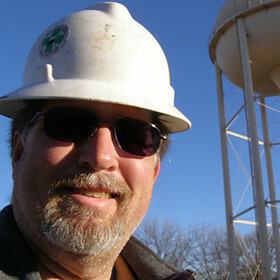 The compamy inspects and cleans water storage tanks and towers. Underwater cameras, remotely operated vehicles and when needed commercialy certified divers are used to inspect and clean potable water storage tanks and towers. Underwater inspection & cleaning methods developed by Ron Perrin since 1993 have saved millions of gallons of treated drinking water. Responsible for all marketing. With a combination of trade shows, direct mail and telemarketing let the company into 300% growth over three years. Director of Operations at U.S. Underwater Services, Inc. Oversee all operations of inland commercial diving company. March 1991 - March 1994 | Pct. 2, Pct 6, and Pct 5. Serve Civil Precess. In Pct 6 I was the supervisor of a DWI task force with an impressive record of service. Investigate and file criminal cases with D.A. Worked as full time patrol 2002-2003 while managing RPWT. Scuba Diving, Motorcycle Touring, Fishing, and business development. See my new web site at www.watertankinspection.com. I am an advocate for clean, safe tap water See: www.cleanwatertankproject.com Former Master Peace Officer (84-06). Now a Member of the Blue Knights LE Motorcycle Club.